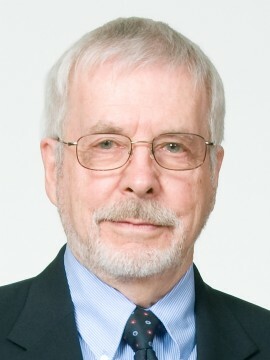 Robert Hare is Emeritus Professor of Psychology at the University of British Columbia. A researcher in the field of criminal psychology, he has become recognized as the foremost authority on psychopaths over 35 years of research at UBC. He has devoted most of his academic career to the investigation of psychopathy, its nature, assessment, and implications for mental health and criminal justice. He is the author of several books, including Without Conscience: The Disturbing World of the Psychopaths Among Us, and more than one hundred scientific articles on psychopathy. He is the developer of the Hare Psychopathy Checklist-Revised (PCL-R) and a co-author of its derivatives, the Psychopathy Checklist: Screening Version, the Psychopathy Checklist: Youth Version, the Antisocial Process Screening Device, and the P-Scan (for use in law enforcement). He consults with law enforcement, including the FBI and the RCMP, sits on the Research Advisory Board of the new FBI Child Abduction and Serial Murder Investigative Resources Center (CASMIRC), and is a member of the FBI Serial Murder Working Group.. A researcher in the field of criminal psychology, he has become recognized as the foremost authority on psychopaths over 35 years of research at UBC. Dr. Hare developed the Hare Psychopathy Checklist, used to assess cases of psychopathy. Research interests include psychopathic and criminal behavior; Psychophysiology. Dr. Hare has been devoted to understanding the nature of psychopathy and its implications for mental health and criminal justice.